It seems as though people [CYA included] can’t get enough of the cloud lamp or anything related to it. 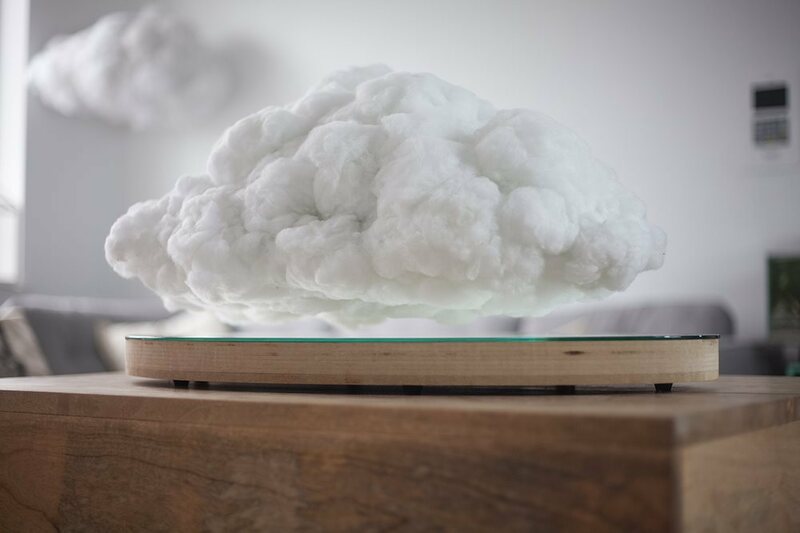 Now, thanks to Richard Clarkson Studio and Crealev we have a miniature floating cloud that hovers indoors and serves as a wireless speaker. 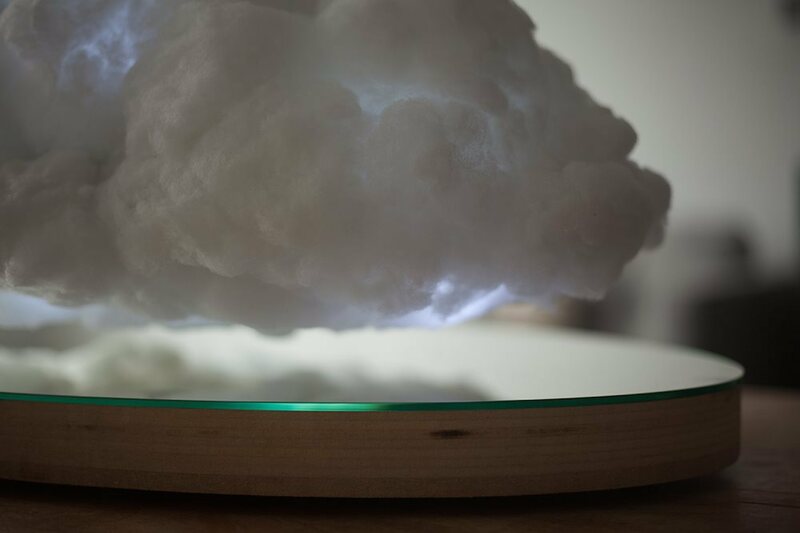 And get this, the hovering cloud can play your favorite music and adjust its storm lighting so that everything is in harmony. 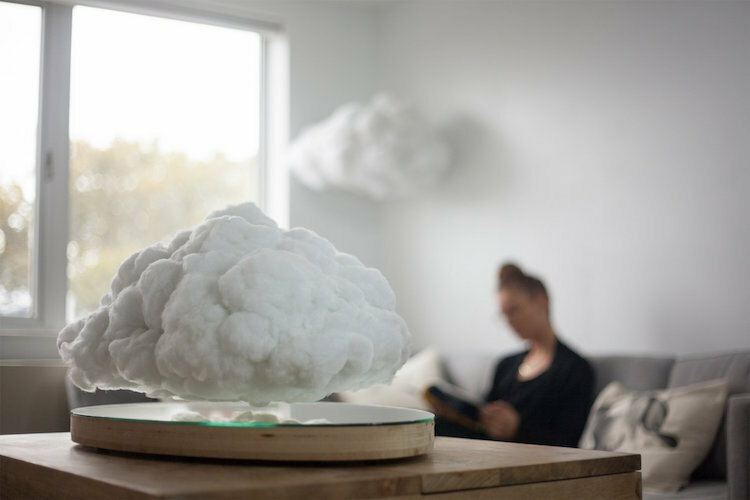 The floating cloud is known as, Making Weather, and is comprised of polyester fibers that hide a Bluetooth speaker, LED lights, and a magnet that keeps the cloud afloat above a mirrored base. It adds a really nice ambiance to any room because not only does it light up to the beat of the music, but it hovers to the rhythm. 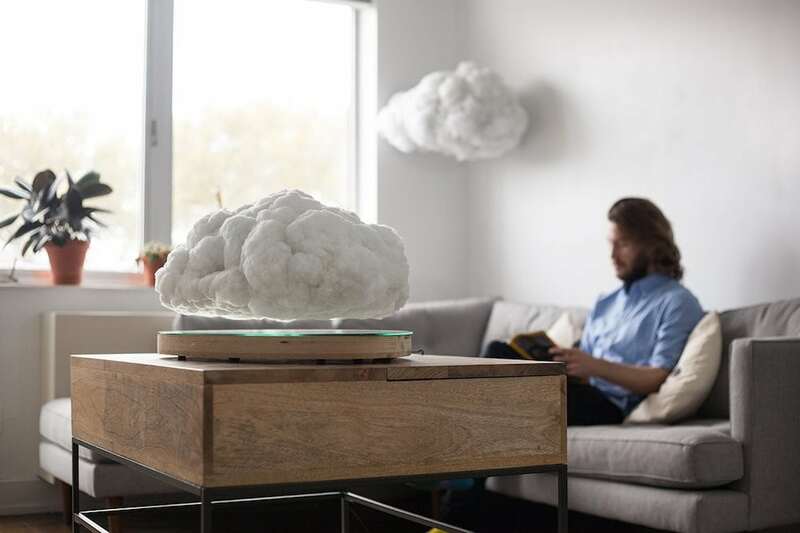 While only a prototype exists at the moment, they hope the indoor cloud will make its debut to the market soon. 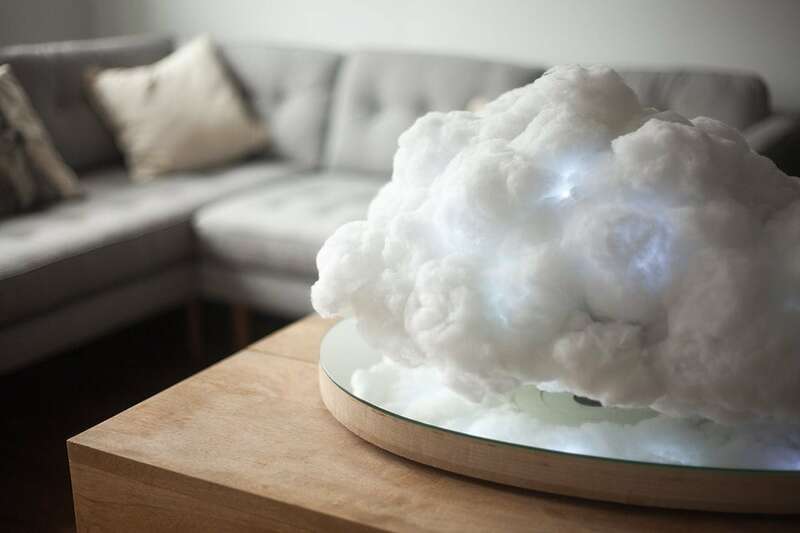 However, you can buy the cloud lamp that is similar to this project, and made by the same company here.